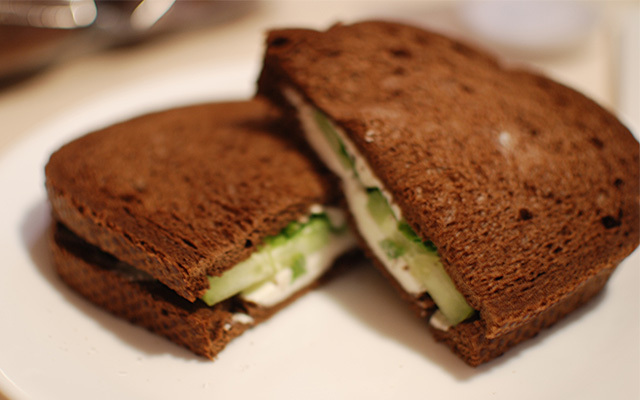 Cucumber sandwich: sliced cucumbers with cream cheese and mint leaves on pumpernickel bread. Seasoned with salt and pepper. I’d love to hear your thoughts. Email me your comments here.